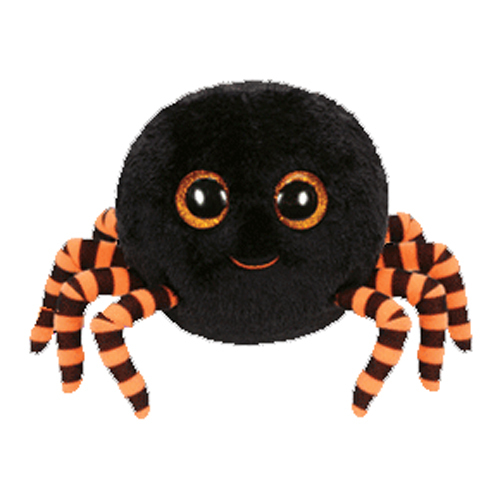 Crawly’s round body is made from a fuzzy black material and he has eight orange and black stripy legs. He has large sparkly orange and black button eyes and a red stitched mouth. Black and purple versions of Crawly were released at the same time. The purple version has bright purple fur and green eyes and legs.